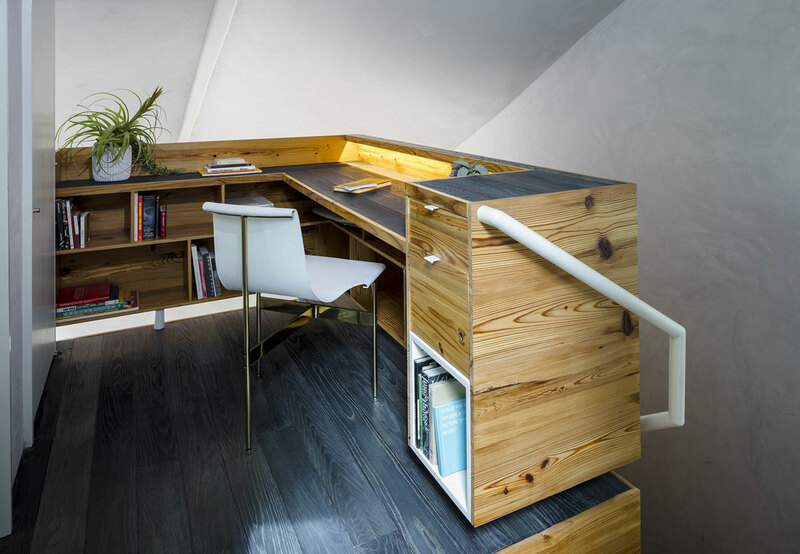 There's something moderately unsettling about Studio 512's Hive House. Not excessively unsettling, but enough that I can't look at it without feeling like I'm in one of my dreams where I have to take an exam for a math class I didn't realize I was signed up for. 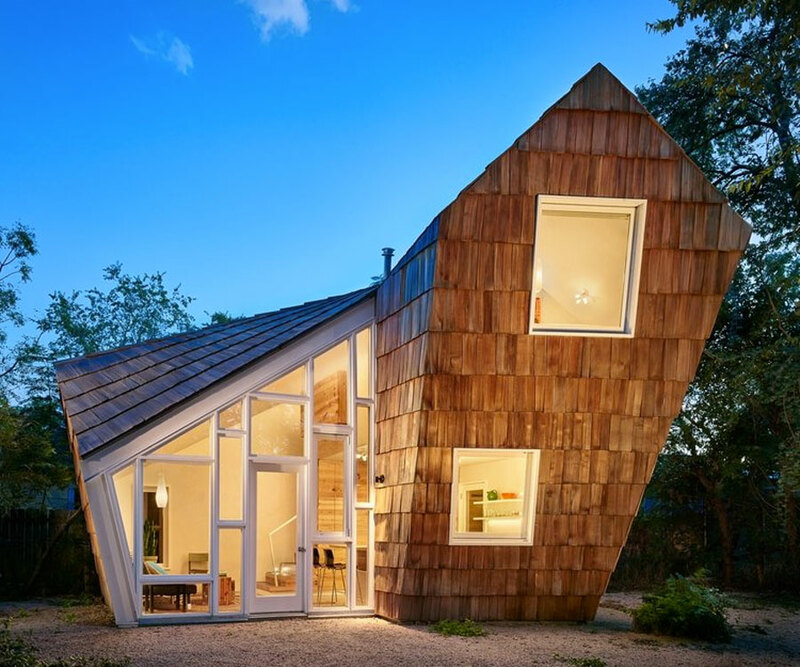 Even the name, The Hive House, makes you wonder what you're gonna walk into when you step betwixt the odd angles of those shingled walls and roof planes. 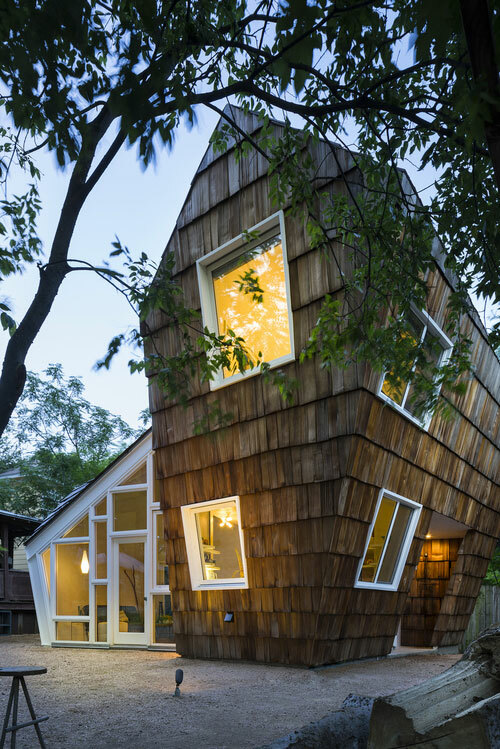 Compare The Hive House to another strange shingled abode, the Archipod. For some reason the latter, though wholly bizarre, just makes me smile and think whoever designed it probably really likes sci-fi. Not to knock The Hive House. 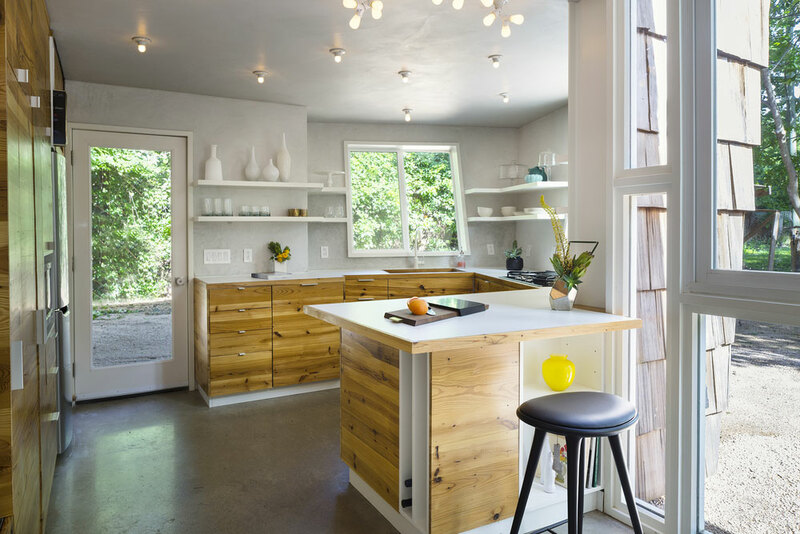 It's definitely a standout and, at 550 square feet - just bigger than tiny home size - it represents conscious, efficient living built to maximize its footprint and interior space. 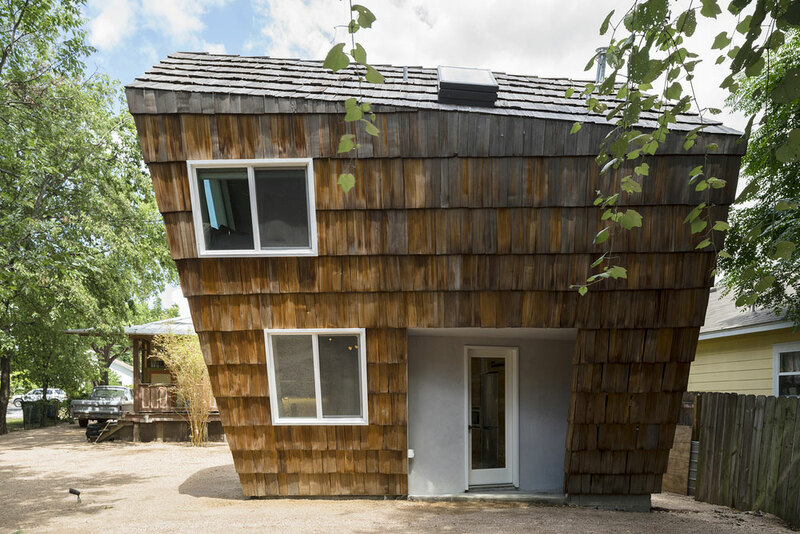 The Hive House covers just 320 square feet of land, and "grew" its angles as a result of impervious cover restraints (land that doesn't absorb water/rainfall well) and and angled utility easement. 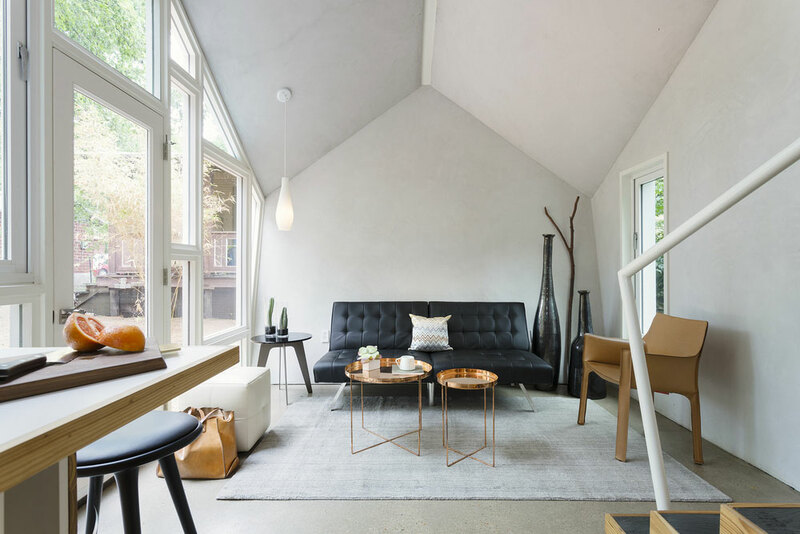 Studio 512 created the home's shape to maximize space in all 3 dimensions. Reclaimed cedar shakes for the walls and roof.